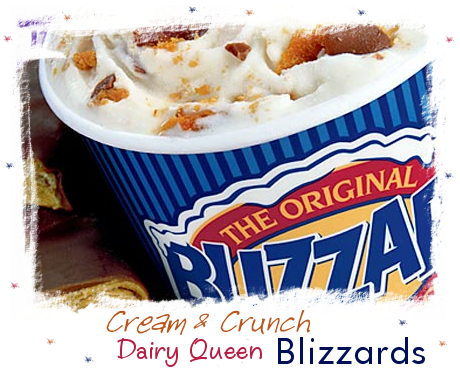 to Cream and Crunch -- the Fanlisting for the delicious Dairy Queen treat, the Blizzard! If you're a fan of the Blizzard, grab a button if you have a site, and fill out the join form to add your name to the list of fans! This site is listed with The Fanlistings Network. Thank you to Ai~, who graciously allowed me to adopt the Fanlisting from her. Megan owned the Fanlisting before Ai~. We have no affiliation with Dairy Queen, this is simply a fansite and no copyright infringement is intended.